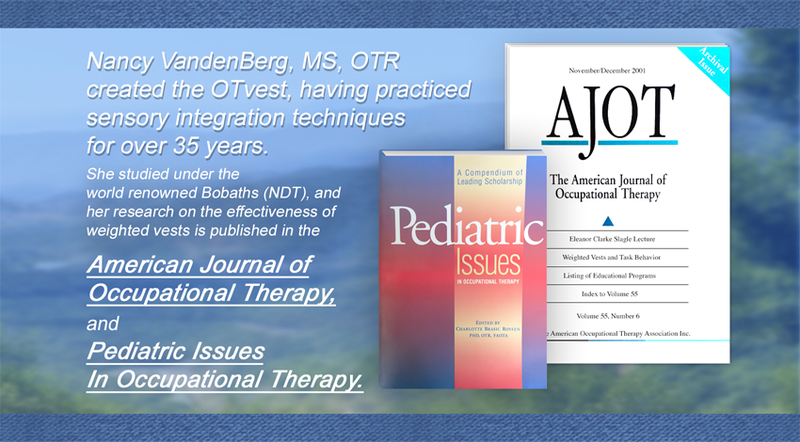 For those with autism and ADHD who need help organizing their behavior, the OTvest™ can be used to naturally treat ADHD and naturally treat autistic behaviors (hand flipping, pacing, repetitive movements) by applying deep pressure touch therapy! 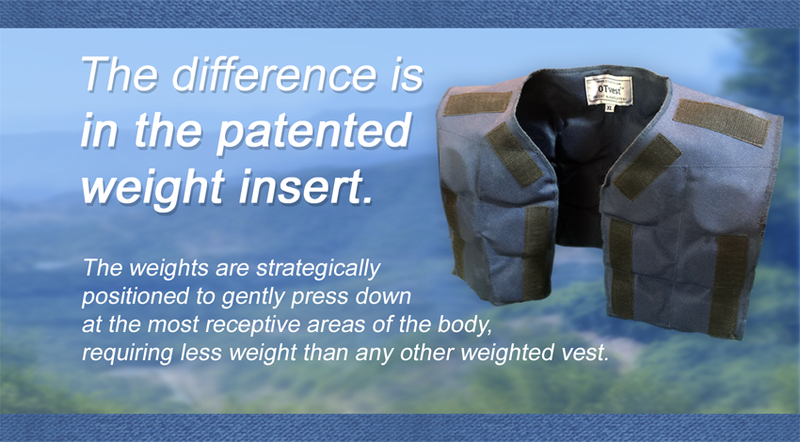 Due to the patented placement of the dense, thin steel weights within the OTvest™, the OTvest™ stabilizes the trunk of the wearer. This trunk stability is beneficial for those with movement disorders such as Parkinson’s, ataxia, dystonia, multiple sclerosis and more. 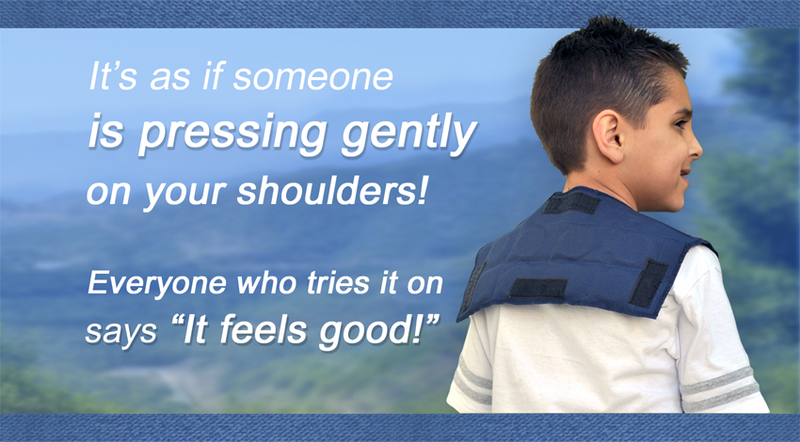 The OTvest weighted vest can help reduce tremors and spasms through the deep pressure provided by the OTvest patented weight insert. 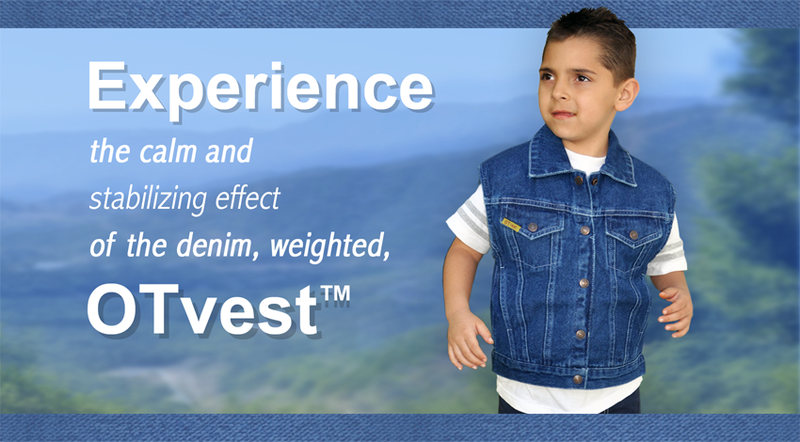 The OTvest™ denim weighted vest can be used as a natural treatment for anxiety, stress, and agitation due to the calming effects that the OTvest’s™ deep pressure touch therapy applies to the body. 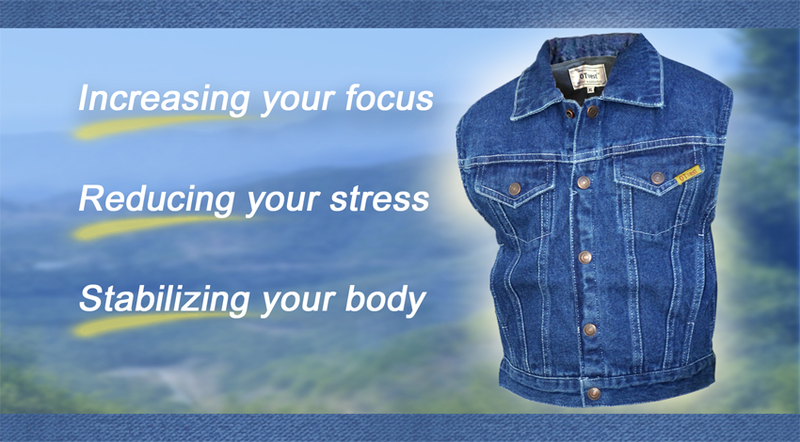 The OTvest is a simple, non-invasive intervention that can make a difference in relaxation! 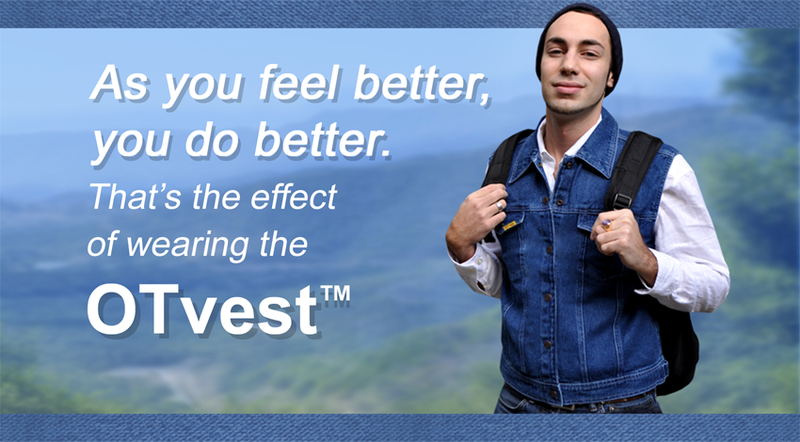 The OTvest™ applies deep pressure touch therapy to the wearer. 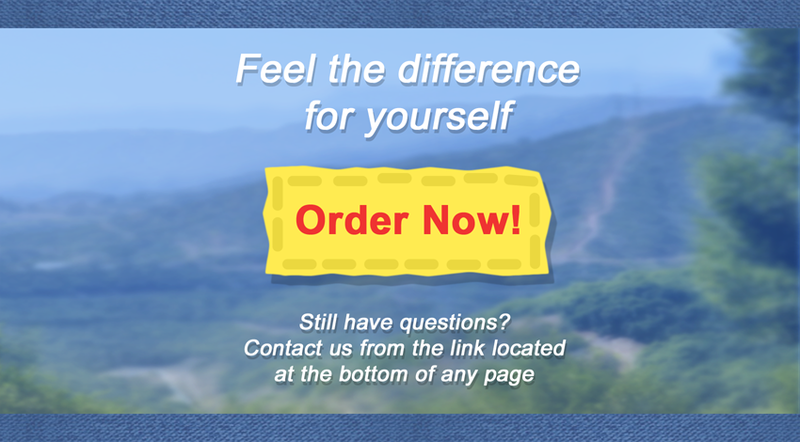 This deep pressure is registered in the limbic system, hippocampus, and reticular activating system in the brain, and may stimulate the production of key neurotransmitters to naturally calm those with PTSD, Alzheimer’s, sleep disorders, and more!